This campaign has concluded, but if you would like to still make a gift to support the Legal Aid Clinic, please click here. Legal problems have no regard for deadlines or convenience, and KU Law’s Legal Aid Clinic is ready to mobilize. It can assemble its army of student volunteers at a moment’s notice. The Legal Aid Clinic Mobilization Fund is for urgent or responsive legal projects to benefit the community. The fund will cover expenses to allow the Clinic to gear up, get the word out and respond swiftly to meet emergent community needs. 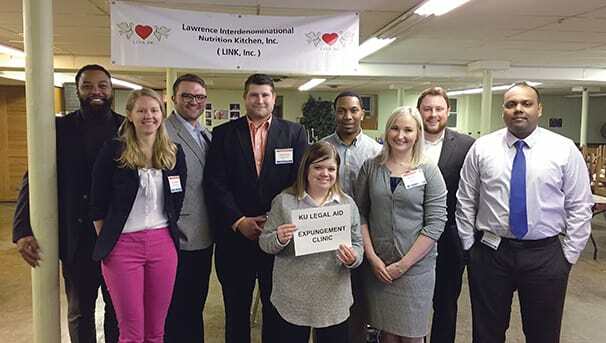 In February, the Legal Aid Clinic mobilized by setting up a “Clean Slate” criminal record expungement clinic in Lawrence. Student volunteers staffed a walk-in station at a local soup kitchen where anyone with a prior conviction could obtain legal advice and representation to address criminal records that posed barriers to housing and employment stability. At one half-day session, the Clinic assisted almost 50 people. Most recently, the Clinic organized a Deferred Action for Childhood Arrivals (DACA) renewal clinic to respond to the legal crisis created by an order from the White House. People then-enrolled in DACA were given one short month to renew work permits or face possible deportation. Seeing the short time frame and weighty legal consequences, the Clinic sprang into action and mobilized the law school community. More than 125 students and faculty volunteered, underwent training, and were on-site during the DACA clinic. Both the expungement and DACA renewal clinics indicate that the need for legal assistance in our community is significant and the willingness of KU Law students to volunteer is overwhelming. The only missing piece is the financial stability required to mobilize rapidly. As the Legal Aid Clinic celebrates its 50th anniversary, please consider donating to the Mobilization Fund to help the Clinic spring into action when the community needs it most. Gifts of any size will get us one step closer to our goal! Your donation will help us leave no stone unturned in our efforts to serve clients in need! For example, $25 could fund a criminal history background check to help us get the full picture of a client’s expungement prospects, or it could pay mileage to a student who is going the distance to investigate a case. $50 can fund a range of clinic activities, including getting the word out through media, flyering, and other forms of public outreach when there is a legal need that needs community education and action. $100 speaks for itself. Your generous donation at this level begins to give us the flexibility to begin to think bigger in our legal work – whether that means bringing in an expert for testimony, paying for records we subpoena, or otherwise expanding the breadth of our options as students fight for clients’ rights. 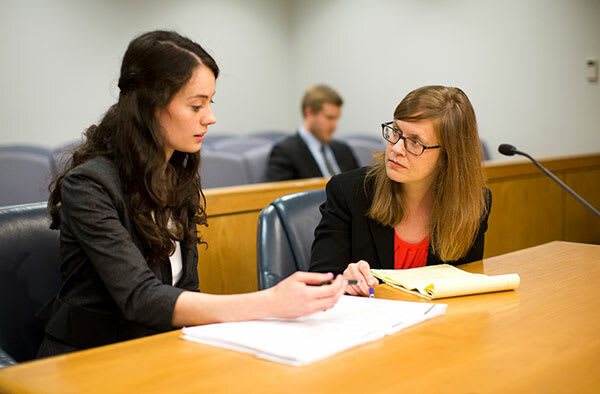 $500 honors the role we are all called to serve in our legal careers as “public citizen[s] with special responsibility for the quality of justice.” It positions our clinic – and our students – to be ready for anything, anywhere, anytime. It frees us to mobilize, organize, and educate while serving indigent clients in this ever-changing legal and political climate.